Be smart about what you put into your body. Certified Organic means no toxins, no chemicals, no pesticides. When you are in need of treatment the last thing you should use is low quality homeopathics or chemical-laced medicines that may have unwanted side effects. A new fast, safe and effective stretch marks treatment. Results are guaranteed. Value Size. Remove stretch marks with a new fast, safe and effective treatment. Results are guaranteed. Common on the stomach after pregnancy as well as other parts of the body following a significant weight gain or loss, stretch marks generally appear as white or pink strings on the body. Even the very best diet and exercise plans are unable to erase stretch marks. While many purported stretch marks treatments include toxic ingredients that are absorbed by the body, Stretch Marks Beauty Balm is the world’s first and only 100 percent USDA Certified Organic treatment for stretch marks. Guaranteed for its effectiveness, Stretch Marks Beauty Balm includes a potent combination of safe, natural and non-toxic ingredients designed to heal, calm and rejuvenate the skin – erasing stretch marks. Instead, organic helichrysum oil from Corsica speeds cellular growth and assists the healing process, reducing stretch marks with its anti-inflammatory properties. Likewise, certified organic lavender oil penetrates the skin and offers healing as well as rosemary verbanone chemotype, which is recognized for its regenerative properties. In addition, certified organic rose hip seed oil from Chile further supports healing, regeneration and beautiful skin. 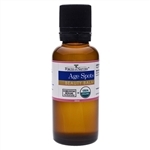 Homeopathic Thiosinaminum is also blended into this remedy to heal stretch marks and damaged skin, and homeopathic Silicea is potencized six times its regular strength to help improve overall skin health. Finally, calendula also promotes healing and is very safe and effective for first aid or chronic conditions. 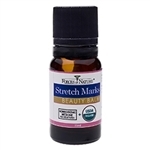 Stretch Marks Beauty Balm is safe enough to be used during pregnancy. Smaller or newer stretch marks can be treated three times per day for just a few weeks for powerful results, while older or larger stretch marks may require up to three months of treatment. 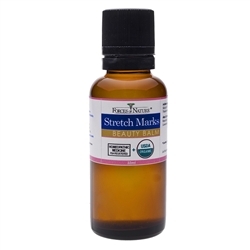 Safe for your skin and for the environment, Stretch Marks Beauty Balm offers guaranteed results. Stretch Marks Beauty Balm from Forces of Nature is a proprietary blend that was exclusively designed for the natural and effective treatment of stretch marks on the body. It works quickly and safely, creating beautiful, balanced skin tone. In the fight against stretch marks, Stretch Marks Beauty Balm is the ideal treatment to have on your side.